Court R. Turner, JD has been a proud member of the San Diego Biotech community for over 20 years now. He joined the Accelerator Life Science Partners (ALSP) as an Operating Partner in November 2017. Prior to joining ALSP, Mr. Turner was a Venture Partner with Avalon Ventures for a decade. 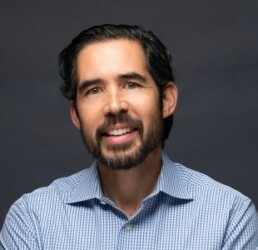 While at Avalon Ventures, Court was the founding CEO and Director of both Synthorx, Inc. (a synthetic biology company based on technology from TSRI, La Jolla) and Cellular Approaches, Inc. Court was also the founding Chairman and CEO of RQx Pharmaceuticals (transaction with Genentech). Starting in 2002, Court was a member of the executive management team at Kalypsys, Inc. and before that, starting in 1997, at Aurora Biosciences (acquired by Vertex in 2001). Court received his JD from the University of San Diego School Of Law and a BS in psychology from San Diego State University.